A complete is a complete set of projects to earn your Daisy Petals. A year of projects for your Daisy troop. Earn all the petals with this kit. Eleven projects in all… each individually packaged and ready for your daisy meetings. No leader prep is needed. Order one for each girl. You’ll need your own scissors, glue and crayons or order them from us for economical pricing. All else is included to make your daisy year a success. 37 reviews for "Petal Pack Complete"
We really like the petal activity matchups and have been very pleased with this set. I love this company! I am a new Daisy GS leader and have gotten all of my troop crafts from this site. If there is even the slightest issue, their customer service ensures that it is resolved immediately. These are real people, striving to provide the best service possible. Once, when I forgot to use a promo code for an order, they actually adjusted the price of the order to reflect the code! I HIGHLY RECOMMEND THEM! Everything a troop needs to earn their petals in one set. Great value and no running to the store for each craft! Just what we wanted. We are looking forward to using them this year. You always are just what we need and so very affordable. Thank you!!!! So far we have done the responsibility tote, the promise cards, and the honest and fair bracelets. They have gone great and it was so much fun to do. I love that there is a craft for every petal. Thank you so much. Nice to have “instant” petal ideas. Like the packaging, it made it easy to hand out. Girls seem to enjoy it! Used with the free coloring pages, this kit is very useful for the busy troop leader who doesn’t have alot of time to get creative with crafts. the package arrived promptly with all items inside. We’ve only done 2 of the crafts, so I can’t comment on everything. The mirror craft did not hold together at all when making it or afterwards. It’s already in the garbage. The totebag craft was fine. The timing suggested to make the crafts is not quite correct. The mirror craft only took about 5 min. However, if you factor in reading the story along with the craft, then the timing is fine. My co-leader quit before the year even started. I had no experience and am not very crafty. A friend told me about this and we ordered together to get the discount. Thnak you! Now most of my meetings are planned and I now see that you have the coloring pages to go with it. don’t know what I would have done otherwise. 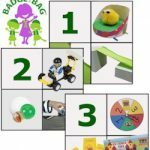 We are a year round troop, and this summer we are doing the Sewing and Flyer badge in a bag. A great way to work on other badges that we dont have time during the school year. I LOVE IT. Great Cost! Good Directions, and best of all, NO BRAINER!!.. 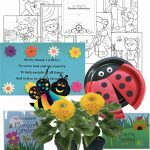 We ordered the Complete Petal Pack for our first year kindergarten Daisy Troop. As new leaders, it has been a wonderful tool to help us plan our meetings! This has made planning our meeting so much easier. We build our lesson around the crafts. the girls like them alot and find them easy to do. I am a new Daisy leader and purchased the Petal Pack Complete to help me with the girls earning their petals. Our girls have just learned their promise and have enjoyed getting the name tags and putting the daisies on. We are looking forward to all the projects for the petals which have given us great ideas for field trips and community service to go along with the petals. Thank you for all you do and keep up the good work. We recently bought these kits for our newly formed Daisy troop. It has helped to plan out several of our meeting activities along with giving us ideas for field trips to pair with the craft. We found the kits through a recommendation of another leader and would/have recommended them to all new leaders we meet. I’m giving 3* because some of the kit was awsome! My disappointment comes from not reading the small print, 1 kit /Girl! Disappointed, but many things inc the petal pack will be great for the troop to create a poster as a whole as they earn the petals. Can’t say enough about how wonderful the rest of my order was & we will utilize this to create a troop kit from 1.
good ideas but not at all impressed with supplies the stickers came all stuck to everything else and the paper they were to go on was all torn up. I think you make it sound much better than it is. Sorry about that. Sounds like your kit might have been damaged in shipping. Please email [email protected] to get you out the supplies you need. I’ve heard such great things about this site and specifically this offer. When will you have it back in stock?